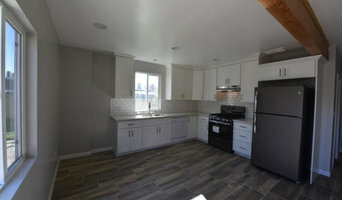 Victory Home Remodeling is a professional name in home remodeling in Los Angeles. The company offers wide variety of services which includes bathroom remodeling in Los Angeles, Kitchen remodeling, roofing, solar panel installation and more! We always endeavor to offer the best services to our clients at the best prices. We would stop at nothing to give you complete satisfaction as our real victory lies in the satisfaction of our customers. Los Angeles' General Contractor | Best of Houzz 2014-2018! Since 1986, Gary Osborne, owner of OSBORNE DESIGN HOUSE, has been designing kitchens and interior cabinetry spaces nationally and internationally. 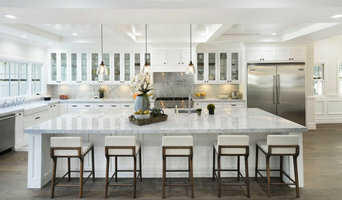 His work has been published in many kitchen and home magazines, design publications, and major brand product brochures. Gary has designed kitchens throughout the world - - encompassing 16 states and 8 different countries. His kitchen and cabinetry designs have been installed in both historic properties as well as luxury spec homes, and a list of clients includes notable architects, designers, contractors, and celebrities. Gary has lectured and spoken on kitchen design at UCLA, the “dwell on design industry show,” and various other trade functions. Gary believes that every well-designed space begins with attention to alignment, proportion, scale, balance, and symmetry. Rimon Construction Inc is a full service Design-Build company that specializes in custom home renovations tailored to each client's distinctive taste and style. Adam Rimon received his Bachelor of design in interior architecture in 2004. By 2009 he had started this custom home-building company that combined his unique talents as a general contractor, project manager, and designer. Rimon Construction strives to maintain a cooperative partnership with its clients throughout the entire home building process. We have structured our services so that we can assist in all aspects of decision making related to the development, design and construction process. We are extremely detail oriented and strive to listen to our client’s needs, identify their personal style, and translate it into great spaces. Rimon Construction builds and renovates homes with an artistic eye and an exceptional sense of contemporary design. We work to know our clients on a personal level to produce a final product that is loved and cherished for years to come. We hope we have the pleasure of working with you one day to bring your home-remodeling project to life. Greenworks construction is a California based company that believes quality should never be compromised. We have the finest team of architects, visual designers, and structural engineers to help with every step of your project. From concept to creation. Greenworks specializes in the fushion of traditionalist and modernist styles. We are also featured on Angies list, Facebook, and Pinterest, so if your planning a renovation or just looking for some inspiration check out our galleries. 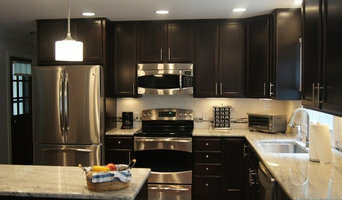 Lux Builders & Remodeling Inc.
For more than 15 years, we have operated out of Los Angeles, building our unimpeachable reputation for remodeling on a strong foundation of service and quality. We often take on projects that other firms would call “challenging,” and the reason that we do this is simple: we know that we are up to the task. Given our breadth of experience and our trove of knowledge, we are confident that we can do whatever our clients ask of us. Whatever you need from us, whatever you have in mind, we can help you, guiding you every step of the way, from the initial concept to the construction itself. To date, we have worked on such projects in such areas as bathroom remodels, kitchen remodels, roofing, general plumbing, electrical work, house exteriors, windows, and doors. We even build houses and room additions from scratch from time to time! Yes, we do it all, and our designers and staff will keep you updated and involved as much or as little as you would like us to. We will collaborate with you to produce a 3D rendering for your project, and when it comes time to work, we will use top-grade materials exclusively. we are the firm that you can count on for exquisite work every time! Goldenline Construction has grown to an internationally renowned company established on a foundation of an uphill struggle, dedication, and expertise in top-notch construction. Through various unpredictable financial conditions, Golden Line Construction has continued to be in the black. It’s our integrity, sincerity and transparent philosophies that allowed us to become who we are today. At Goldenline Construction, we firmly believe in sharing our opportunities with one and all. Goldenline Construction makes every possible attempt to be remembered by those we worked with our ultimate work performance. Goldenline Construction engaged in providing services to clients who value diligence, inventiveness, and ingenuity in an associate. We successfully maintain a network of offices around the globe, with a dedicated staff of experienced construction experts including civil engineers, architects, interior designers, contractors and more who work with a positive approach on both big and large construction projects each year. With a huge annual construction volume, we rank at a good position in our industry. The combination of years of experience and creativity renders into a history of ultimate performance in everything from safety measures to crew efficiency and on-time venture completion. We have an ability to work in all kinds of weathers, territory, and surroundings from isolated locations to extremely colonized areas. Also, we have experience working in global settings. Goldenline Construction is committed to offering all-inclusive services to our clients ranging from a bathroom renovation, kitchen renovation, room additions and much more. We are quite strict to our timetable and are known for finishing the projects on schedule. Goldenline Construction staff would love to hear from our domestic teams, partners and most importantly from our clients. Contact us today to know more about our organization and services or to give your feedback.